Award-winning magician Jim Vines specializes in close-up magic, and divides his time between New York City and Long Island's East End. Performing his unique style of Close-Up Magic, Jim won the title of North American Champion of Close-Up Magic at the 2017 combined International Brotherhood of Magicians (IBM) & Society of Americans (SAM) Competition in Louisville, Kentucky. He also won the People's Choice Award for 2017 at the same convention. In 2016, Jim won 1st Place at both major US National Magic Championships (IBM & SAM). 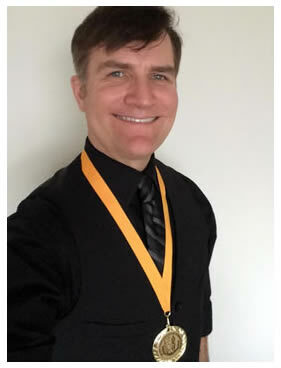 His awards include: North American Champion of Close-Up Magic (IBM/SAM/FISM North America), 1st Place and People’s Choice at the Gold Cups Championship of the International Brotherhood of Magicians, 1st Place and People’s Choice at the Society of American Magicians Close-Up Magic Championship, 1st Place at the 2016 Canadian Association of Magicians Close-Up Magic Championship, and the Gold Medal at the 2015 Pacific Coast Association of Magicians Close-Up Magic Championship. He has shared his magic with audiences throughout the United States including the Vegas Wonderground in Las Vegas and the Magic Castle in Hollywood, and over the past year performed in Canada, France, Italy, and Argentina. His original magic effects in the magic industry’s leading magazines. Jim is a member of the International Brotherhood of Magicians, the Society of American Magicians, and the Academy of Magical Arts. He is a regularly featured performer at "A Taste of Magic", the long-running close-up magic show in New York City, as well as "Magic at Coney" in Coney Island, New York.